En perspective à la tenue du tout premier Salon Des Entrepreneurs de Guinée (SADEN), les 13 et 14 mars 2019 à Conakry, organisé commutativement par l’Agence Guinéenne pour la Promotion de l’Emploi (AGUIPE), le Ministère des Investissements et des Partenariats Publics et Privés de Guinée et le Centre de Commerce International. L’équipe SADEN a organisée, une compétition dénommée ‘’PRIX SADEN DU MEILLEUR ENTREPRENEUR DE L’ANNEE ‘’, sous la supervision de Monsieur Paulo Gomes, Président du Jury, et de Madame Arancha Gonzales Vice-présidente Jury et la Directrice Exécutive du CCI pour récompenser les meilleurs entrepreneurs du pays évoluant dans les domaines de l’agrobusiness, de l’engagement social, du digital ou des médias et ayant un fort potentiel de création d’emplois. Parmi les huit (8) heureux finalistes pour le prix, les projets de trois (3) de nos Startuppers ont été retenus dans les catégories engagement social et digitale. - Aboubacar BANGOURA, Gérant de l’entreprise EFATAP. Entreprise de transport par bateau des personnes sur la voie maritime de Boulbinet vers les îles de Loos de Conakry. La proclamation des résultats et la remise des prix se feront ce jeudi 14 mars à l'hôtel kaloum de Conakry à partir de 18h30. Organisé sous le thème « L’Entrepreneuriat, un puissant levier de développement économique », ce salon est un véritable concentré d’effervescence entrepreneuriale, qui réunir une centaine de professionnels du monde des affaires telles que des experts, des dirigeants d’entreprises et créateurs de startups ; et de personnes désirant se lancer dans le monde de l’entrepreneuriat. En plus de permettre aux participants de s’enquérir des nouvelles tendances en matière d’idées innovantes, le Salon des Entrepreneurs de Guinée promet d’être un véritable espace d’échanges d’expériences, de conseils personnalisés et de networking. Le Salon des Entrepreneurs de Guinée est un rendez- vous unique pour faire décoller votre business, partager l’expérience de grands entrepreneurs, développer votre réseau, faire le plein d’énergie et d’idées innovantes. Bonne chance à nos Startuppers ! These three pre-MBAs will be embedded in Dare to Innovate and our portfolio companies for a summer-long immersive internship. 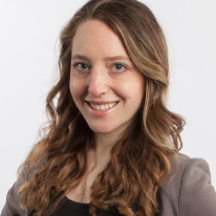 Becky Allen is thrilled to join Dare to Innovate as a Venture Fellow. Through this role, she looks forward to learning more about the intersection of business and international development, including how human-centered design can advance sustainable development. Prior to this role, she served as a research associate at the Council on Foreign Relations, where her portfolio focused on strategies for boosting women’s economic opportunity in emerging markets. Previously, she also worked as the communications and development associate at the Washington Institute for Near East Policy. Becky received her BA in Middle Eastern Studies from Tufts University. She will be starting her MBA at MIT Sloan this fall. Todd Hummel joins us after 5 years at Microsoft where he spent the majority of his time working in product strategy across both the Windows and Office teams. While in strategy, he worked alongside engineering, marketing, finance, and sales teams to help drive long term revenue growth, evolve business models, and identify new product opportunities. This summer at Dare to Innovate, Todd is excited to use his experience in product strategy to help startups develop and grow while quickly learning from and adapting to the business environment and customer needs in West Africa! Todd graduated from the Boston College Carroll School of Management’s Honors Program with a BS in Finance. Following the summer, Todd will pursue his MBA at the Yale School of Management. Brian Yi is a global professional with experiences bringing together cross-cultural teams. He earned his B.A. in Economics from Tufts University and completed exchange semesters at Seoul National University (South Korea) and the University of Hong Kong. 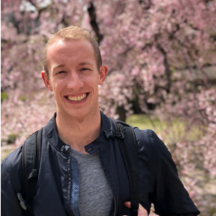 After graduation, Brian pursued the global internship program at Hyundai Card/Capital, where he was a Marketing Innovation Strategy intern at global headquarters (Seoul, South Korea) and Sales Strategy intern at U.S. headquarters (Irvine, California). With global work experience in hand, Brian joined IBM as a consultant, where he has been since. At IBM, Brian focused on data and analytics, serving clients in the financial services sector. During his summer in Guinea with Dare to Innovate, Brian hopes to gain first-hand experience in entrepreneurship, as he is pursuing graduate studies to learn more about this field. He hopes to leverage his strategy, program management, and implementation/operations skills to support the organization and its member companies to tackle youth unemployment. After Dare to Innovate, Brian will pursue his MBA at the MIT Sloan School of Management. 3.5 months ago, I accepted an offer to extern with Dare to Innovate. I was a little trepidatious about the prospect of picking up and moving to one of the world’s least developed countries (with less than 4 weeks to plan), but I am enormously glad that I did – working with Dare to Innovate allowed me to explore social entrepreneurship and more importantly to create product that directly help Guinean social entrepreneurs. · Market Research Toolkit: A DTI-guided, entrepreneur-completed product that shepherds prospective entrepreneurs through the completing due diligence on the desirability, feasibility and viability of their business idea through a series of market research activities. · Business Plan Guide: A manual explaining how to write a good business plan with a supporting financial model and template. I found this externship to be rewarding on multiple-levels. As a pre-MBA internship, it gave me a chance to apply skills from my old job (as a management consultant) in a different field. More importantly, my work with have an impact for Dare to Innovate and its social entrepreneurs: The Market Research Toolkit’s 24 activities will help Dare to Innovate offer business launch consulting services at prices affordable to Guinean entrepreneurs (as opposed to today’s fund and expat buyer). In addition, the Business Plan Template and Guide will improve the quality and consistency of the business plans submitted to Dare to Innovate making it easier to evaluate business plans during our annual competitions. More importantly, for our entrepreneurs using our consulting services, having a high-quality business plan will make it easier for them to find affordable funding – whether they are shopping on their own or asking DTI to turn to partners on their behalf. Reflecting on the experience reminds of an old anecdote John F. Kennedy was fond of telling: “The great French Marshal Lyautey once asked his gardener to plant a tree. The gardener objected that the tree was slow growing and would not reach maturity for 100 years. The Marshall replied, ‘In that case, there is no time to lose; plant it this afternoon!’” Ending youth unemployment in West Africa is a complex problem which will take many years (and approaches) to solve – starting now gives us fighting chance at making a meaningful impact in our lifetimes. What is startup culture? Or more specifically what is our startup’s culture? In the United States, startup culture has become a “thing”. You can walk into almost any startup’s office and feel like you’ve been there before. Standup desks, check. Jeans and hoodies, check. Kegerator and snacks, check. Foosball/ping pong/x-box/puzzle, check. It’s almost as if startup culture is a foundation, and then you layer your culture over it. What were once perks are now expectations. This makes sense. They are used to woo employees. If XYZ.ly is going to offer organic snacks, we have to offer organic raw snacks. If ABC.fy has free beer in the office on Fridays, we’ll have it on tap every day. So the convergence of perks makes sense to me. What is a bit more worrisome is the convergence of the less tangible, and dare I say more spiritual, aspects of startup culture. We are obsessed with our customers. We’re all about fast; we’ll go from idea to product in one day. We give our employees freedom because we trust they will always do the right thing. I don’t believe that there is anything wrong with these sentiments. But the beer rarely gets tapped and the ping pong table grows a thin layer of dust so aren’t obsession, speed, and freedom just as likely to become something we just say to recruit? And then I come to Guinea. Here there are just a handful of startups; most small companies are just small business. None have a “culture code” and with such high unemployment rates, few have to compete for talent. As Guinea’s largest business accelerator, we have a critical role in teaching our companies about the importance of culture. And I think the best way to teach something is to demonstrate it. All of this was weighing on my mind as I clicked through a slide deck and talked through our six guiding principles at Dare to Innovate’s “cultural onboarding” today. But then I decided that I didn’t want our startup’s culture to be something shipped from the US and assembled in Guinea. I turned the tables. All of our employees have been with Dare to Innovate for at least 3 months; some for over a year. They know how we operate. So I asked them, “What makes Dare to Innovate different?” We discussed their thoughts and then created plans to ensure that all of our new hires were going to notice the same differences. I heard no catchphrases, no clichés. At the end of the day, culture is what makes you unique and as one of Guinea’s only “startups” we certainly are different. We hire differently. We train differently. We show up differently. I do have to admit, we have a French press in the kitchen though. Meghan McCormick is the Co-Founder & CEO of Dare to Innovate. She is a strategist and system’s thinker passionate about creating value for communities, customers, and corporations (in that order). She is a Returned Peace Corps from Guinea, Monitor Deloitte Alumni, and enthusiastic past, present, and future customer of Georgetown University, MIT Sloan, and the Harvard Kennedy School of Government. I have had incredible experiences working abroad, first with the Peace Corps and then with Dare To Innovate. Most of that work was geared towards community development, through agricultural extension or youth enterprise support. This work is not limited to international development arenas, however! We have wonderful organizations at home in the US that work on the exact same issues: food security; social justice; urban agriculture; youth entrepreneurship, and community building. Throughout my graduate studies in DC, I got to collaborate with some of those organizations. My first foray with the warriors and workhorses in this engaging and enterprising milieu was when I started volunteering with The Green Scheme in the spring of 2015, working in the food deserts of Southeast and building gardens in Lincoln Heights, Woodland Terrace, and Congress Heights. A food desert is defined as an area lacking in fresh produce and healthy food availability, usually in impoverished communities, like the housing projects we worked with. Ronnie, the founder, and his crew opened up the entire ecosystem of urban agriculture and green revolution in DC. I attended large annual forums like Rooting DC where all the regional nonprofits, associations, cooperatives, and social enterprises meet and exchange information and ideas. I also had the privilege and pleasure of attending the annual Broccoli City Festival that was set up to celebrate Earth Day, our environment, and healthy communities. It has grown in the few years it’s been around, as you can see here. Through my work with the Green Scheme I met Chris Bradshaw, the founder and Executive Director of Dreaming Out Loud. He is an incredibly driven individual. Originally from Tennessee, he studied politics and business at Howard University in DC. He travelled to Ghana on an exchange trip, and was moved and inspired by the entrepreneurship he saw in West Africa, ingrained into community culture that centered on securing food security and welfare. That is when he came back and founded Dreaming Out Loud, in 2008. It started with programs focused on training and educating marginalized African American youth in Wards 7 & 8 of DC, where food deserts and high levels of inequality persist today. Dreaming Out Loud has taken off in leaps and bounds since then. It currently operates 2 vibrant farmers markets in DC, one by the Waterfront metro and another on Minnesota Avenue, near where Benning Road crosses the Anacostia River. I began volunteering at these markets, helping to give out DC government food vouchers to people who qualified for food assistance, which they were able to use right at the markets. It was incredible, seeing the positive response that the markets and program received, and since then the DC government has renewed and appropriated more funds to it. Dreaming Out Loud sells its own produce, grown at its organic urban garden, located in the backyard of a popular music and art venue in Southwest, Blind Whino. Dreaming Out Loud has also contracted with migrant farmers who own businesses in northern Virginia to come and sell their produce as well. Chris was just elected to be a board member on the DC Food Policy Council, and is currently negotiating plans and development of a 2-acre farm in partnership with a secondary school in Southeast. On top of that, he secured a partnership with Kiva to help crowd-fund and provide loans to entrepreneurs that Dreaming Out Loud has identified in the communities they work in! He is looking to make a big impact in DC, and all of his hard work has really paid off. Needless to say, all my experience volunteering in DC has been filled with satisfaction and inspiration. It is a completely different environment from the ones we work in with Dare To Innovate, and yet the way people interact, the types of problems they face, and the effective solutions used to address those issues all resonate and contain striking similarities. Chris and I have talked for hours, trading stories, comparing notes, and the more we talk the more we realize how similar our work is. It serves as a sort of reminder that whether or not you live in a developed or a developing nation, either in the city or in the country, you will face a lot of the same inequality and policy challenges. I hope to continue to learn more about and help with how DC develops, as I learn more about and help our communities in Guinea and Benin develop. And, maybe, someday soon we will figure out a way to collaborate and create avenues for exchange between these diverse and determined communities. On Tuesday night some weeks ago I got a phone call from Guinea. It was my host-mother, 5:00AM her time, they hadn’t slept a wink. “On regarde les elections,” she told me. We’re watching the elections.In the middle of a village in a 98% Muslim country that just became a democracy in 2011 and ranks in the bottom 10 on the Global Human Development Index. I’d been a Peace Corps volunteer there from 2011–2014, just before Ebola took stage, front and center. My time in community had stolen a significant piece of my heart, and I still kept in regular touch with my host family and friends. “Tu as le courant?” I asked. We rarely had electricity while I was there, and I wondered if they’d gone the lengths to power the generator. “Oui,” she said, “presque 24/24 maintenant.” This was news to me. They had electricity all the time, now, a far cry from when I lived there just two years ago. I momentarily recalled the frantic middle-of-the-night dash in my tin-roofed mud home when electricity would come on without warning, rushing to plug in my electronics, turn off the lights and head back to sleep. But why are you watching the elections, Nene? — I ask — it’s late. “Parce que c’est les Etats Unis,” she said. Because it’s the United States. The United States. This country, founded on the supposed basis of liberty and justice for all, nearly 400 years ago. A "democracy" that’s withstood the test of time and yet here we find ourselves, staring at our hands and wondering, what could this moment mean? And why does the rest of the world care? My neighbor definitely doesn't stay up late at night watching Guinea's elections. “Il est l’heure de prier,” Nene told me, it’s time to pray. I bid her adieu, telling her I missed her every day, and she told me that whatever God willed would be, and that it would be for a reason. I blessed her in Arabic and hung up, staring at the moon and stepping back into my shoes, feeling the solid earth beneath my feet. I’d just come from night class, now back in school and exploring the concepts of identity, culture, and decoloniality of the mind, systems and structures of governance. Earlier that evening, we’d been visited by Shannon Rivers, a Native American who’s advocated from the highest levels of government to the most grassroots activist movements on behalf of Indigenous rights. A member of the Lakota tribe, Rivers shared stories of his ancestors who peppered this land before any of us immigrants did. At the end of his talk, we turned on the election and I heard my peers gasp in disbelief. Rivers, long braid down his back, tight wrinkles lining his eyes, looked out at us with light-hearted humor. Folks, we’ve been here, fighting this fight, for 500 years. And the moon still rises, the wind still blows and the birds still fly. We ain’t going anywhere. But what are we going to do about it? I was raised in the heart of the Midwest, in the middle of the red states and sandwiched between the Protestant mission headquarters, the auto industry, and the bubble that white, middle-class America crafts around “normalcy”. Padded with casseroles, hard work, and tough skin to weather the brutal winter months, this was a place where your neighbor’s opinion mattered more than your own. Though in hindsight I must admit there was idyllic truth to being raised in a community where I was free to roam and walk to school with no threat of crime, my eyes were opened wide with curiosity as I sat in my senior economics and government classes, totally disillusioned and confused at how the world operated, wondering how we could ever be in debt trillions of dollars, and if the “seemingly knowledgeable” adults “in power” really knew what they were doing, too. I am also one of those quintessential “millennials” who grew up in the 90s when things were “good”. Despite my father losing his job after the stock market crash post-9/11, my parents worked hard to build a life that otherwise felt like it coasted alongside others in a predominantly white midwestern community. But whether or not I was aware of it at the time, the desire to question and to know the unknown took root in me at a young age. The years that followed seemed to sketch along a radical arc in pursuit of understanding a world that delicately hovered amidst ambiguity. By the time I graduated, jadedness had lain her claim with an itch to leave this country faster than hot coals could burn the soles of my feet. This country, where deep, systemic inequality exists not only within its self-proclaimed walls, but also with the rest of the world, where blood-stained hands seem to hide behind white gloves, and where power and privilege are claimed as birthrights when birth is a mere lottery system and “rights” differ wildly depending on the joker’s deal. At the time, the Peace Corps revealed herself as the best vehicle, with her tireless efforts to place the utmost importance in communities of service, cultural humility, integration and relationship-building, the instrument that’s been doing the real work of foreign affairs and human-centered design since before the terms were coined. What I’ve become aware of is that we live amidst great paradox, where pendulum swings are imminent. And yet the basic underlying truths remain the same, for as long as they have. So what’s next? Six weeks post-election and having just spent 40 fascinating minutes on greatagain.gov, I find myself straddling multiple feelings and caught with one truth: this election is not our own. It’s much bigger than the President-elect, the United States, calling into question and ripping back the curtains to shed light on the way we relate, the way we listen, the way we consider what we “own” and call our own. I ask myself, what’s next? What do these deeply divisive communities mean for this country, the world, as we, too, are caught in the cranky mud of adolescence and work toward a more perfect version of democracy? Is the current system truly adequate for today’s national landscape? Does 1776 still apply to 2016? What would it take to redesign democracy? What would it look like to give ourselves the permission? And what does our role entail? A crisis is a terrible thing to waste. Where we’re headed is uncertain, and what we don’t know is much, but like a hot iron pressed deep on the soul of the world, we must dedicate ourselves in service to it, wherever it leads. Hilary Braseth is COO of Dare to Innovate and a Returned Peace Corps Volunteer from Guinea (2011-2014), where she worked in ecotourism, waste management and entrepreneurship. She presently resides in San Francisco, working for an innovation consultancy and pursuing her Ph.D. in Depth Psychology with a Specialization in Community Psychology, Liberation Psychology and Ecopsychology. She believes in the transformative power of listening, authenticity and water. It’s the end of the year, so naturally I am feeling very reflective. We have a lot to be grateful about at Dare to Innovate. We are grateful for our partners who took a chance in the last year to hire a scrappy social start-up to help them understand markets, enact impact, and learn about innovation. We are grateful for our donors whose generosity truly allow us to keep the lights on – seriously a surprise check came in the mail the same day I withdrew the last dollar from our bank account. We are grateful for our entrepreneurs who are our daily proof that innovation comes from everywhere and that business is an effective tool for development. I don’t even know how to express the level of gratitude I feel towards our staff and volunteers. I am grateful for all of these people and organizations who make our work possible, and I am also grateful for the way that we work. We have the privilege to deeply know our users. Dare to Innovate was born out of relationships and will thrive from relationships. As we move further away from a time when we delivered one simple product as a group of founders to 21 entrepreneurs who were truly our family, I recognize what a privilege this knowledge is and I am thrilled to spend the next 5 weeks building new relationships and deepening others. Dare to Innovate is developing OZÉ, the business adviser in the pocket of every African entrepreneur. It’s a new product and we are developing it in Ghana, a country that is new to me. And so I am returning to my roots. I am returning to the models that I trust for innovation. I have planned weeks of ethnographic research. I’ll be spending time observing Ghanaian entrepreneurs at work and in their communities. I’ll be mapping the organizations that support them and uncovering their pain points. I will set aside what I think the answer is and let it emerge from rich qualitative research. I will allow myself to be delighted by work-arounds and I will share frustrations. I will get to test and build and test and build and test. It’s not every day that an organization like Dare to Innovate is able to carve out time and a budget just to learn, so I am grateful and cannot wait to share what we find with all of you. I hope you all have brilliant holidays full of hope, love, and gratitude. I know that I will. Meghan is the co-founder and CEO of Dare to Innovate. She is a systems-thinker passionate about creating value for communities, consumers, and corporations. Meghan served in the Peace Corps in Guinea and is currently a Legatum Fellow at MIT. If you are still looking to make a year-end donation, please click here. Congrats! You qualify for up to 10,000 KSh! Can you believe it? Believe it! This app actually exists…in Kenya. I know, I know, not everyone who reads this blog lives in Kenya. So, for those of you who don’t live in Kenya and aren’t off spending the money that just landed in your mobile account, let me tell you what will be coming your way soon. The Tala app is an android application that gives you a credit score in just 20 seconds using only the information on your phone and your answers to 8 questions. If you qualify for one of their loans, you can have money in your mobile account in just, that’s right, ONE MINUTE. Insane, right? She responded with… “[I think it’s because] the problem that we are tackling, it’s massive! There are 3 billion people around the world that are currently underserved by financial services.” That’s 3 billion people who don’t have a bank account or who don’t have access to formal credit options like traditional loan products, small business loans, or insurance products. So, the market opportunity is huge. Ok, so now you see why an investor would be interested in Tala, but why should you care? Because think about the impact this could have on opening financial access in countries across the world! I think about my friends back in Benin. Take my friend Hervé for example… Hervé lives in the town of Adjarra. He is a tremendously hard worker. When Hervé was younger he graduated first in his class, but couldn’t afford to go to college. Still, he managed to get into the construction business and soon had his very own hardware shop. For 5 years, Hervé has been ready to open up a second shop, but he can’t get a loan! Hervé’s problem is unfortunately a reality many entrepreneurs face in West Africa, and in many places around the world. And that’s why Tala is so exciting, because it helps successful people at the bottom grow. It addresses the problem at its root and it’s seeing some incredible results― repayment rates of more than 90% for first-time borrowers and 95% for customers who return for a second loan. (Don’t believe me? Hear it from the CEO herself here.) That’s BETTER than repayment rates regular loan companies are seeing here in America! To put that in perspective, Tala is not meeting borrowers in person or even picking up the phone, whereas American loan companies are meeting borrowers in-person and doing sophisticated background check, and they are still seeing these repayment rates. With 40% of their new borrowers coming from referrals, Tala is taking off and soon expanding to India, Mexico, Nigeria, Zambia, and more. In an era of trickle down, Tala screams trickle up, and as Alicia Garza says, it’s creating an effervescence, a bubbling up. Recently completing over 22 million in loans in just 11 months, the impact that Tala is already changing the world. Tala believes that everyone deserves control over their financial lives and power over their futures…do you? Dave Emnett is former National Coordinator of Dare to Innovate Benin and now Chief Financial Officer at Dare to Innovate Global. He believes in a deeper sense of humanity, a human closeness, a sameness that transcends all board and differences― through which lives human relationships that compel us to help one another, to create social enterprises. Oh, and he also loves to sing in the shower! Follow Dave on Linkedin or @daveemnett on Twitter. One of the most interesting things that a person can study is economic data. The statistics and figures produced by economists are sometimes simple, sometimes complex, and often overly so in both cases. For example GDP per capita, wherein you take the total output of a country expressed as gross domestic product and divide it by the population of a country, is often used to compare the relative productivity or economic performance of different countries. If GDP per capita increases, that indicates economic growth. This is an oversimplification, which ignores levels of unemployment levels, actual distribution of income, and the like. Now, it depends on which perspective you are coming from, and what you wish to accomplish with the concept of GDP per capita, of course. I am fond of the saying that “there are lies, damned lies, and statistics”, which was popularized by Mark Twain, though its true coiner remains a mystery. I was examining data for Guinea recently. According to MIT’s Observatory of Economic Complexity (OEC), Guinea had a GDP per capita of $1,220 in 2014, which ranked 173rd out of 185 countries in the world. Compare this to a figure that an acquaintance who works for the Guinean government cited, which is that the average monthly income for Guinean households is around $50. This puts most households at around $600 a year. Now, we cannot look at those two figures alone and draw any conclusions about the relationship between them, which would be unsound logic, statistically speaking. It is necessary to examine further the context in Guinea. It has had a negative trade balance, despite being well endowed with natural resources, since 2007, the final year of Lasana Conte’s regime. The Ebola outbreak exacerbated the economic situation after a tentative rebound, such that GDP growth was almost 0% last year. Guinea has an economic complexity score of -1.33 according to the OEC, meaning that its has minimal diversity in its output, its products are raw mineral and input resources and foodstuffs, and a very limited amount of added value production. Indeed when you look at the exports of Guinea in 2014, only about 1% of exports were machine-related, and much of those were salvaged parts. A full 85% of exports was minerals and precious metals. Over 21% of its imports were foodstuffs, and 24% were gas and oil. Guinea imports the vast majority of its refined petroleum from the Netherlands, and a large amount of rice from India. China supplies Guinea with much of its general consumer commodity imports. Guinea’s largest export destinations are South Korea, who imports a huge amount of crude oil along with India. India also imports gold. The United Arab Emirates import a substantial amount of gold, and interestingly enough, postage stamps as well. At 6.1% of its exports, postage stamps make up Guinea’s largest non-mineral commodity, generating $188 million in 2014, most from the UAE. Net exports for 2014 reached $3.07 billion, while imports were $3.88 billion. Just as to show perspective between other countries’ data, China is the largest economy in the world, with exports worth $2.37 trillion; imports were $1.53 trillion in 2014. Its GDP per capita was only $13,200 however, and its economic complexity is 0.74, ranking 37th out of 185 countries. Japan has the most economically diverse economy in the world, scoring a 2.25 in complexity. Guinea’s neighbor Senegal scores an identical -0.33 in complexity, and only exports $2.91 billion with a GDP per capita of $2,330. It imports an astonishing $7.53 billion, and its top import partner is Mali, which scores a -0.77 in economic complexity and only exports $867 million. It imports $3.07 billion and has a GDP per capita of $1,600. Guinea has a population of around 12 million people, Senegal has around 14 million, and Mali has around 15 million people. It is interesting to note that these countries have relatively smaller economic output, and yet have higher average per capita GDP. It is easy to get lost in economic data, delving into the intricacies of indicators, trade complexity, and integration of the global economy. And yet we have to remember that these countries are full of millions of people who are trying to live just as we Americans do. Business and economics, though theoretically they draw on general human psychology, tend to be too quantitatively driven, with little concern for humanity and qualitative impact. We see byproducts of human suffering on the news and in our travels, which stem from ever worsening financial inequalities and corrupt governments. We need every new, young entrepreneur and aspiring economist to have a care for the social aspects of their enterprise and work. In the global economy, one individual’s consumption expenditure is another’s wage: or, one person’s dollar is another person’s plate of rice. Change and social benefit can happen incrementally, and some small modicums of support can translate to a better life for someone. We should not get lost in the numbers surrounding “growth”, though neither should we dismiss them. If everyone aims to help others while they help themselves to succeed, then we will build a better world more efficiently for one and all. These were words spoken by one of the leading venture capitalists in the San Francisco Bay Area, or what’s often referred to as “the tech bubble”—home to the headquarters of Google, Facebook, Twitter and a massive “startup” sector (roughly 10,000, to be precise). The city is, arguably, the “heart of innovation” and the tech industry alone represents hundreds of billions in net worth in San Francisco. Despite being the most expensive city to live in the United States, and despite egregiously sky-high rents (you’d be appalled at what I’m paying for a tiny bedroom), people of all kinds have relocated here with big plans and big aspirations—not too distant from their early ancestors of the California gold rush. In short, San Francisco is a place where big dreams flock to find life—mostly, financial support. So how does a young, aspiring entrepreneur with big plans and big aspirations make a dent in the eyes of 30,000 angel investors? I recently visited an Extreme Design for Affordability class at Stanford University with a group of venture capitalists, professional fundraisers, angel investors and other high net-worth individuals. Extreme is a unicorn-like graduate course that builds multidisciplinary teams of students, pairs them with a specific “design challenge” (often international) and tasks them with developing change-making concepts throughout the course of the semester. Often, classwork results in several viable businesses—d.light and Embrace are a few from history to name. Our visit occurred nine months into the course’s development, finding student teams with prototyped designs, rough concepts and inklings of viable business models. Our task, as a collection of 20+ individuals, was to meet with and coach what all entrepreneurs hunger for—how to fundraise. How to pitch for it, how to secure it. Though I, myself, was an outlier in my camp of high net-worth individuals (did I mention what I’m paying for my tiny bedroom? ), I partook in the activities, played devil’s advocate, feigned disinterest and honed student presentations to clearly articulate, present and pitch for their “ask”. 1. A fundraising conversation is a conversation. You’re both just people—come prepared, confident (not cocky), know your stuff and build architecture to the conversation. Who are they, and what are they interested in? How do your interests line up? Why might they be interested in what you want to share? It’s best if you have a concept that’s already a proven prototype. 2. Don’t forget to ask, and not just for funding. Having a conversation is great, but be sure to craft your “ask”. Keep in mind that moral, intellectual and professional support can be just as valuable as financial. Be sure to thank them for their time. These are the steps to see your idea turn to gold—begin with yourself, build your team from there. It’s less about what you say, more about who you are. If you’ve failed before, pick yourself up, learn and try again—next time, smarter. If you’re an aspiring entrepreneur, are you committed to your idea? Do you have passion for it, one that borders on fervor? Are you honest about your failures, your journey? Most of all, do you demonstrate integrity, one that can rally other high-quality teammates to create your ideas into viable, sustained reality? Once you embark on these steps, you’ll be well on your way to winning the trust and support of investors—all through the art of conversation and demonstrated commitment. Onward you go, I dare you—innovate, iterate, persevere and most of all, develop yourselves! All the best blog posts these days seem to start with a number―22 Spectacular and Bizarre Airbnb Rentals or 6 Secrets to Writing a Great Cover Letter. The reality is people don’t have time to read an entire article, they just want to skim through and hit the highlights. And so, when it was my turn to write the blog for the week, even if it is a few days late (Sorry Guys! ), I decided to give it a try. Benin is the home of the motorcycle taxi, known as the Zemidjan. Imagine you are standing on the side of the street outside your apartment building and you need to get uptown. If you are in New York you might hail a Yellow Cab or request an Uber. In Benin, you wait till you see a guy in a yellow shirt coming down the street on his motorcycle and you yell, “Zem!” It might be a little scary the first couple times you climb on back of Claude the Zemidjan’s moto and watch him weave in and out of traffic, but by time number four you’ll be an old pro chatting and high-fiving the passengers on the Zem next to you. And don’t worry, from backpacks to suitcases to cows, these guys can carry anything you’ve got. Baobab is just one of Benin’s many superfoods and natural resources. This special fruit comes from Africa’s iconic “Tree of Life.” 100g of this super fruit will supply you with 12 times the Vitamin C you can get from 100g of pomegranate, the next best source for Vitamin C. (Get some from the amazing social enterprise I worked with while I was in-country called Atacora.) Benin also produces some of the best pineapple, cashews, and fonio (an ancient grain like quinoa) in the world. The Beninese are full of spirit. Whether it’s the spiritual connection they have with their ancestors or the spirit of entrepreneurship, there is plenty to go around in this country. It is not uncommon to hear of people making a trip back to the village for an important ceremony or to hear of a new store opening up on the corner. The Beninese have strong spirits that can overcome seemingly insurmountable obstacles and they do it with joy. A fun-loving, party people, the Beninese certainly know how to have a good time and their reputation precedes them. Many friends from other West African countries will tell you how much fun they had when visiting Benin. I can also confirm this from first-hand experience. Whether it’s spending the day at the famous Boukombé market tasting the local sorghum beer known as tchoukoutou or a night out dancing at an Afro-Cuban bar in Cotonou, there is always a good time to be had in Benin. Have you ever tried to read something—an article, a book, an email—only to find that you’ve reached the end and have absolutely no idea what you just read? Perhaps your mind was too busy thinking about what you could be doing, or you’re distracted by the conversation happening nearby, a co-worker asking for assistance, your phone buzzing with a text message, an email, a tweet, another text or a Facebook chat. Let’s be real (if you’re still with me here)—distractions in this day and age are everywhere. The speed and degree to which our brains are demanded to constantly process and multitask have ballooned to an extreme. And if you’re anything like me, I find myself having to consciously make an effort to create space for focus and time for absorption that I’d otherwise rarely receive. The reality of our globally-connected, integrated and flattened world is that the amount of distractions available to us will not decrease—if anything, they will only continue to intensify. The consequences of such a reality pose real questions for the future of our species and how it will adapt to information saturation, shorter attention spans and the heightened demand for our brains to multitask. Though I could elaborate on how these phenomena have affected a high school student in a classroom, or how they have transformed the nature of our communications and writing, I’d like to focus on the effects in the workplace. I recently read an exposé—not without interruption—put out by the global firm Steelcase, which explored the yin-yang duality of what people need to be highly productive: a balance between collaboration (with others, social interaction, time to share) and individual privacy (absorption, deep thinking, and the work “flow”). As workplace layout and design have become increasingly collaborative and open (shared workspaces, desks and constant conversation), productivity may not track accordingly. In a study shared by Steelcase, office workers are interrupted as often as every three minutes by digital and human interactions. Once a distraction occurs, a disruptive ripple effect ensues—after one, it’s harder to stop ourselves from succumbing to another and it can take as long as 23 minutes to return to the task at hand. While multitasking, the study measured a 5-point decrease in a woman’s IQ, and a 15-point decrease in a man’s IQ. The need for privacy is also not limited to culture or country—global results demonstrated that even in collectivist cultures like China’s, people around the world crave privacy for various reasons. These results have significant weight to bear and pose compelling considerations when designing a company’s workplace, managing employees, or optimizing worker satisfaction and productivity. Indeed, as David Rock, consultant, author and founder of NeuroLeadership Group states, we face an “epidemic of overwhelm” that detracts from every company’s bottom line. Rock explained that those who use multiple forms of media and consistently divide their focus actually become worse at it over time, overall decreasing their attention spans and productivity. So, as innovators, creative thinkers and the wheels of the future, what are we to do in the face of this “epidemic of overwhelm” to ensure we leverage our needs for collaboration and yet allow our minds space and time to absorb and focus? Dare to Innovate recognizes the importance of “me time”—time away from the noise, distraction, information flow in the external world—and incorporates this module into the flow of its curriculum to allow all entrepreneurs time to reflect, absorb and self-analyze. As Rock explains, there is no single solution for all—each person’s needs are different and varied and therefore, any good leader might consider allowing her employees space and flexibility for work optimization, absorption and innovation. Sleep time. Refreshes the mind and body, and consolidates memory. Connecting time. The healing power of relationships. Play time. The joy of experimenting with life. Physical time. Improve the brain’s plasticity through exercise. Downtime. Disconnecting for integration and insight. Focus time. Attention management for performance. Time-in. Reflection, attunement and mindfulness. It’s 5:04PM on Thursday evening and I have roughly four hours to complete this blog post before my Friday morning deadline. My responsibility doesn’t come often; in fact, I generally have six weeks to write it since posting duties rotate amongst the Board members. Why, then, if I had six weeks to write this post am I just now sitting down to write it the night before, with four hours to go on this flight? Better yet—why is this story relevant? Next question: say I asked you to implement new innovation processes in your city. Where would you begin? How would you? Kelley elaborates: often when IDEO consults with top executives on sparking innovation within their organization, they don’t know where to begin. In fact, after being exposed to the constraints-concept, one such executive told IDEO that during a kickoff meeting for a normally six-month project, he told his team they had one day to do the whole project. At the end of the day, he planned to give the team extensions of a week, then a month. He believed that if his staff focused on prototyping through many ideas rather than trying to plan for a perfect one, the finished product would be more robust and innovative. As the Kelley brothers explain, a few boundary conditions—whether budgetary, time- or resource-related—can sometimes spark more creativity, not less, as they assist in framing challenges. So how might we incorporate constraints into our lives in order to leap into action? TACKLE A “DOABLE” PIECE OF THE PROBLEM. To get under way, work on the easiest part first. How do we decide the easy part of a challenge? The Kelley brothers suggest a concept they call “constrained voting”. After a brainstorm session, there may be a hundred ideas. Instead of simply voting for their favorites, they sometimes focus their attention on the bite-sized chunks. The project leader might say, “pick the ideas you could explore within the next two hours,” or, “pick ideas that you could prototype by the end of the week.” They constrain options by looking at how they can progress right now. NARROW THE GOAL. Solving global poverty is too big. Set smaller, achievable goals you can act on. Work at a library in your local community. Tutor a child in your town. Narrow the scope until you can see how to get started. CREATE A MILESTONE (AND CONNECT IT TO A SOCIAL CONTRACT). When IDEO works on a long innovation project, they build in a series of check-in sessions, peer reviews and interim milestones to create a “drumbeat” of activity. Project teams tend to experience a surge of enthusiasm and productivity whenever a deadline looms. Instead of establishing one big deadline, build in as many “mini-deadlines” as possible to keep the team’s energy up throughout. We risk losing focus in the middle of a three-month project but if you set up a phone call every Tuesday with your peer advisors, or a quick presentation every Friday with the client/decision-maker, you get more than twenty peaks of intensity rather than just one. So if you’re working on a big presentation, schedule a walk-through or a dry run with your team a few weeks before. The live prototype will show what’s working and what’s not. Then schedule a second “dress rehearsal” the week of the presentation. Or, if it’s a blog post, set a timeline for topic selection, drafting and finalizing to ensure that Friday deadline. I mean, really know yourself? What do you do best? What are you passionate about? Where do you see injustice, inequality, inefficiency and where do you want to differ from the status quo? In what spheres can you identify a lack of integrity? What do you want to change? I recently read an article in the Harvard Business Review by Anthony Tjan that cites that the one quality that trumps all, evident in virtually every great entrepreneur, manager and leader, is not necessarily being "innovative", "bold", or being a "risk-taker". As Tjan notes in his book Heart, Smarts, Guts and Luck, the best thing leaders can do to improve their effectiveness is to become more aware of what motivates them and their decision-making, the basis of which requires Intellectual honesty, rigorous commitment and active truth-seeking. As he states, "...it is precisely THIS self-awareness that allows the best business-builders to walk the tightrope of leadership: projecting conviction while simultaneously remaining humble enough to be open to new ideas and opposing opinions." Without digressing too far into philosophy, self-knowledge has long been considered THE highest form---in fact the very essence---of all knowledge. In fact, self-knowledge is consistently believed to be the largest universal challenge by many ancient Greek philosophers; since we're always changing, growing as human beings, self-knowledge is a quest that is virtually never-ending. So if we're always changing, how might we know ourselves? As potential or already-actualized leaders, entrepreneurs, how might we become more self-aware in order to be more effective in our daily realities? 1. Test and know yourself better. Use already-developed frameworks like the Myers-Briggs, Predictive Index and StrengthsFinder to facilitate self-reflection, which lead to better self-awareness. Or, take Tjan's developed Entrepreneurial Aptitude Test, which stacks up four key traits that drive business and entrepreneurial success: Heart, Smarts, Guts and Luck. Among a sample of 500 global entrepreneurs, about 50% were Heart-dominant, 25% Luck, 15% Guts and 10% Smarts. Understanding which core trait drives your decisions and your attitude is important for increasing the probability for success (another question for yourself: how do you define success? What is it, for you? For society? Are they the same? In understanding this term we further guide ourselves to greater understandings of ourselves and how to make professional and personal life decisions). 2. Watch yourself and learn. "Whenever you make a decision ... write down what you expect will happen. Nine or 12 months later, compare the results with what you expected." Peter Drucker wrote this strategy in his article, Managing Oneself, calling it a self-reflection process feedback analysis and citing it as the only way to discover your strengths. Many, including Warren Buffett, practice this habit. Buffett, for example, writes down the reasons behind each investment decision and later looks back to see what went right or wrong. This practice forces one to focus on the what and also the WHY, and forces one to see truth and to accept failure when things do not turn out as expected. Otherwise, "backward rationalization", or the process of seeing failure and finding excuses for oneself, is all too easy to fall prey to. "Backward rationalization" is one of the major reasons why many do not progress in their self-awareness and personal development. 3. Be aware of others, too. Self-awareness is crucial when building a team. Knowing your natural strengths and weaknesses, as well as those of others, helps you to build an effective team of people who both understand and complement one another. The best teams are rarely made of similar types and are usually composed of a diversity of excellence. Alas, here we finish with Tjan's trinity of self-awareness: know thyself, improve thyself, and complement thyself. As Tjan says, these common sense principles are not necessarily commonly followed because people don't always commit to stand in the face of truth. As he puts it, "intellectual honesty, rigorous commitment and active truth-seeking are the basis of any self-awareness process." Take the first steps, begin your self-reflection and see for yourself! www.hsgl.com. The other morning I purchased a banana from a grocery store in Michigan. Recently returned to the United States after living in Guinea for 2.5+ years, I decided a banana would be a safe bet, passing up the mangoes because I knew they couldn't possibly compare to the sweet, juicy, rainy-season ones that dangled heavily from the trees in my former backyard. The banana was yellow—slightly skinnier than I recalled bananas to be—and much, much longer. A bit skeptical, I peeled back the first layer and took a bite—nothing. I tasted nothing! I looked to see if the banana indicated a home, wanting to avoid purchasing this cardboard variety for all times to come—nothing. This banana had no home! That’s probably why it tasted so empty. I missed, once again, the sweet, robust, sometimes-green-peeled bananas from Guinea, the ones that tasted like whipped deliciousness when I bit into them. Or the teeny-tiny bright yellow ones, huddled in bundles of eight or more with a slight, tangy zing to round out their taste. I laughed at the irony—how fitting! How wonderful Guinea’s banana’s are, I want everyone to experience them! How fertile Guinea’s soil is!—and read. Essentially the article went like this: more and more, as “developed nations” continue to become “developed”, population levels grow and land continues to become scarce, the land supply will prove insufficient at meeting the alimentary needs of the world’s swelling population. As a result, developed nations—including many big multinational corporations—have begun to gobble up low-cost land on the planet’s “hungriest continent”, anticipating this future demand and importing high-tech machinery to plant mega-fields of corn, soybeans, grain and other commodities across Africa’s terrain. And yet Africa’s agricultural potential remains grossly untapped. The reality is staggering: in the U.S., China and the Eurozone, farmers produce roughly 3 tons of grain per acre of land (.41 hectares) while in Africa, grain farmers produce roughly .5 tons per acre. This means African farmers, in general, register a one-sixth production capacity compared to those from the developed world—largely due to poor infrastructure, limited markets, weak governance and disruptive civil wars that fractured the postcolonial continent. Possessing nearly one-fourth of the world’s agricultural land, a resounding question lies before us: how, exactly, will Africa’s “untapped potential” farmland be tilled? Will it be large-scale, corporate farms with external, high-capital investment, export capacity and jobs for the locals? Or smaller farms with enhanced techniques made available to local farmers? Despite several attempts to counter the agricultural odds between 1960 and 2000, the green revolution’s mix of fertilizers, irrigation and high-yield seeds never blossomed in Africa. Now, according to FAO experts, we’ll need to invest an estimated $83 billion a year in agriculture in developing countries to feed two billion more people by 2050. Governments in countries like Mozambique, Zambia, Liberia, Ethiopia and others are attempting to create the correct formula in order to most-adeptly leverage the opportunities that agriculture’s future offers. The key involves securing land rights, ensuring thriving markets and increasing productivity but most of all—and what National Geographic didn’t explicitly mention—thoroughly imparting management and business skills on small-to-mid-sized farmers in order to guarantee investment and sustainable agribusiness practices. And the key to good agribusiness practices and winning over local communities? In a perfect world, turning to Africa as the planet’s future “breadbasket” includes benefits for all parties involved—investors, local communities and nations alike—with increased jobs, infrastructure and enhanced food security. And with its Agropreneur Incubation Program slated to roll out next year, Dare to Innovate’s philosophy equally aligns, intentionally hosting the bulk of its activities in a rural area rather than a metropolitan center. Youth of the future, listen up! Africa's riches lie not in the capital cities but in its vast, fertile, rich, non-cardboard banana-producing lands. Dare to Innovate, and I dare you… Dare to Cultivate!